Today I travelled to Globe, Az, about 27 miles from my home. Needed to pick up a few items. But along the way I decided to head a little farther east to the San Carlos Apache Nation. Just a few miles from the eastern Globe city limits is Apache Gold Casino. The casino has extremely polite and helpful workers. They pride themselves in having the most 1 cent slot machines in Arizona. They have every kind of machine you can imagine. Apache Gold Casino (and Resort) is built-in the round. With a small drop down from the entrances, the slots are humming. They also have poker, 21, and bingo. The gift shop features a number of beautiful native American arts and crafts. The buffet is exceptional! My favorite here is the blueberry cobler. Warm and yummy. In addition, there is a meat sliced and served and many entree choices. There is a restaurant in addition named the Apache Grill. It is very good also. My favorite dish is the Fisherman’s Basket. One of the reasons I like it so much is because it is near my home (but more importantly) you don’t have to score a million points before you get a promo coupon in the mail. I have played the slots a little, and every month I get a $5 free slot play coupon and a discount on a lunch for me or me and a companion. Sometimes it’s free! All I can say is that this place has been very good to me – and if you want the casino atmosphere but don’t like to gamble gobs of money – this is the place for you. If you are in the Globe – Miami area, you need to visit. Oh, did I mention that there is also an airport across from the casino? Oh, did I mention there is a golf course. 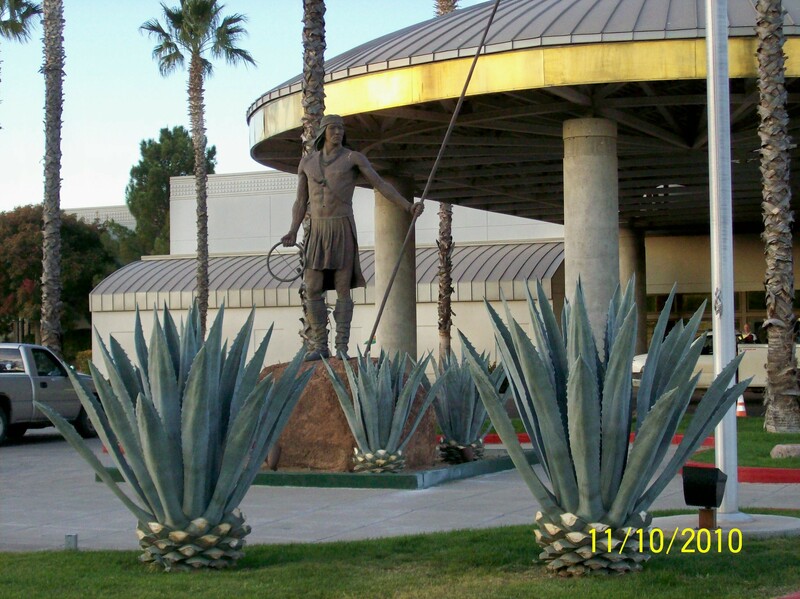 I don’t have an airplane, and I don’t visit Vegas once a month, but if you like slots and you want a friendly place to be, you need to get to Apache Gold Casino and Resort. I don’t get paid for saying this, but these people at Apache Gold made me feel welcome a long time ago. This is the least I can do for them. Come see it!!! Here’s a link to the casino’s homepage http://www.apachegoldcasinoresort.com/ .